This "book" is made of 3/4" thick transparent jade glass. 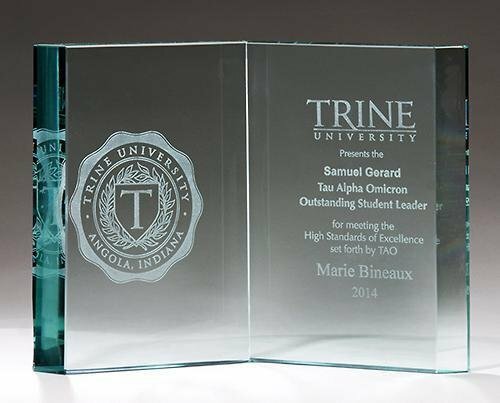 Your text/graphic is laser engraved a frosted white color on one or both "pages." Individually gift boxed.